This Mother’s Day weekend, Amy Schumer (Trainwreck, Inside Amy Schumer) and Goldie Hawn (The First Wives Club, Overboard) are taking a trip that goes south real fast. Check out the first Snatched trailer (in both Red Band and Green Band versions) below, along with some new stills in the gallery! In the film, Schumer and Hawn play a mother-daughter duo trapped in a South American vacation gone wrong. It co-stars Joan Cusack (Shameless), Ike Barinholtz (Suicide Squad), Wanda Sykes (Curb Your Enthusiasm) and Christopher Meloni (Man of Steel). Directed by Jonathan Levine (Warm Bodies, The Night Before, 50/50) and written by Katie Dippold (The Heat, Ghostbusters), Snatched is produced by Peter Chernin, Jenno Topping, Paul Feig and Jessie Henderson. 20th Century Fox will release Snatched on May 12, 2017. 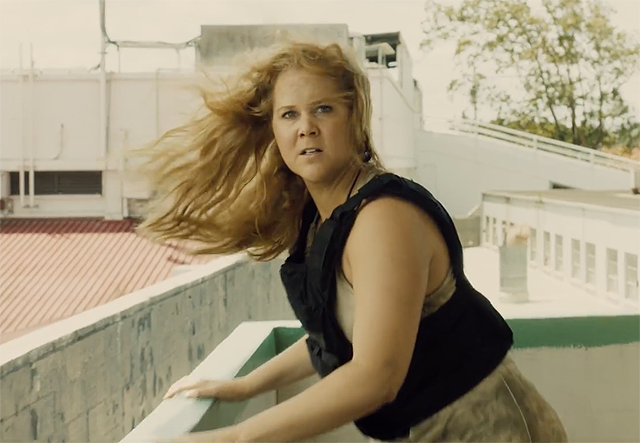 What do you think of Amy Schumer’s first starring vehicle since Trainwreck? Let us know in the comments below!